Well I don’t know about you but football’s already been coming in my home for the last four weeks and to be honest, I’ve about had my fill. 64 matches is enough for anyone, surely? Anyway, by Sunday evening it’ll be done – and I will be heaving a sigh of relief. Not mine, my husband’s. He’s usually a calm kind of guy, he doesn’t get particularly emotional about anything. Except the World Cup. And I can’t take it any more. The shouting at the TV, the swearing, the armchair expertise. It’s agony for him. Have mercy. Let it end. Whether it’s in the office or online, every single bloody conversation is about the World Cup. At home it’s even worse. 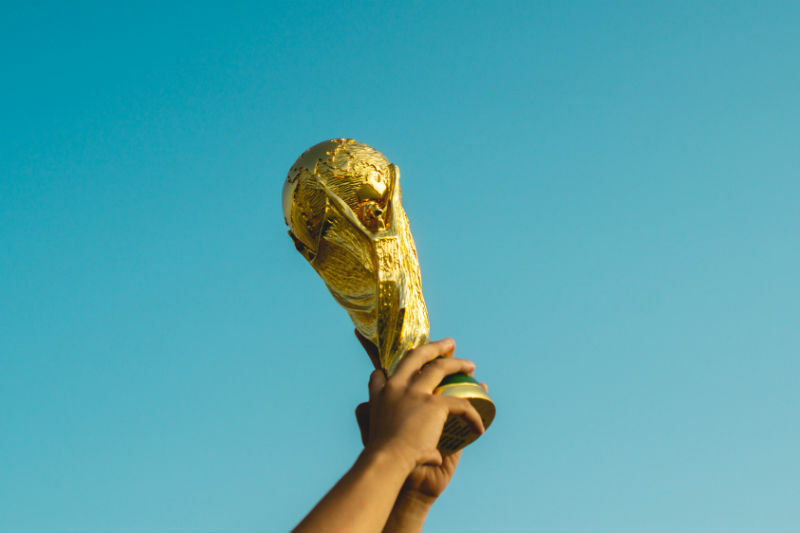 My besotted better half spends almost every evening mooning over how ‘this is the best World Cup EVER – I don’t want it to end’. Even my five year old son is in on the action, filling in his World Cup wall chart and finding any excuse to get out of bed at night so he can come and watch snippets of the football. Pleeeeeease, I want to talk about something else. As long as it’s not Love Island. I’ll be honest, that can bloody do one as well. I haven’t watched anything but the World Cup for about four weeks now. I use the word ‘watched’ in the loosest sense: it has been beaming out of my television in my living room straight into my glazed-over eyes. I miss normal TV. I managed to watch one episode of The Handmaid’s Tale which was reluctantly permitted by my husband (Blessed be the fruit). He complained through much of it. I’ll be honest, they don’t really fill me with patriotic pride when their cack-handed celebrations involve swamping a branch of IKEA to behave like demented toddlers, or jumping on top of ambulances to show how very happy they are at England’s success. By all means, wear your little waistcoat in homage to Gareth Southgate, who by all accounts is a thoroughly decent bloke. But I don’t think he’ll like it if you go around trashing emergency services vehicles or frightening shop staff.